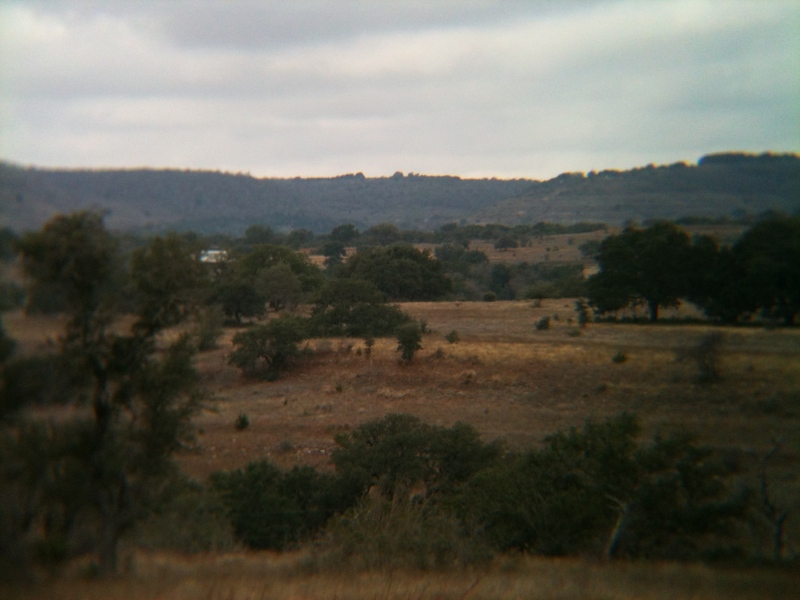 Thi s past Sunday I took a drive out into the hill country. 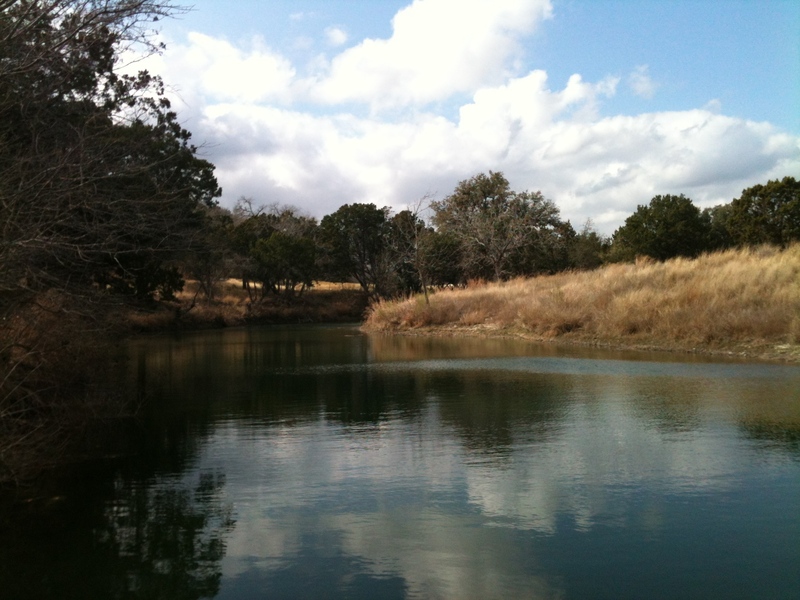 I was visiting one of my favorite places – the Bamberger Ranch. While there are green trees (Live oaks – Quercus fusiformis and cedars – Juniperus asheii) scattered through the landscape there were many without any leaves. Yet they still had what appeared to be balls of greenness high up in their canopy. 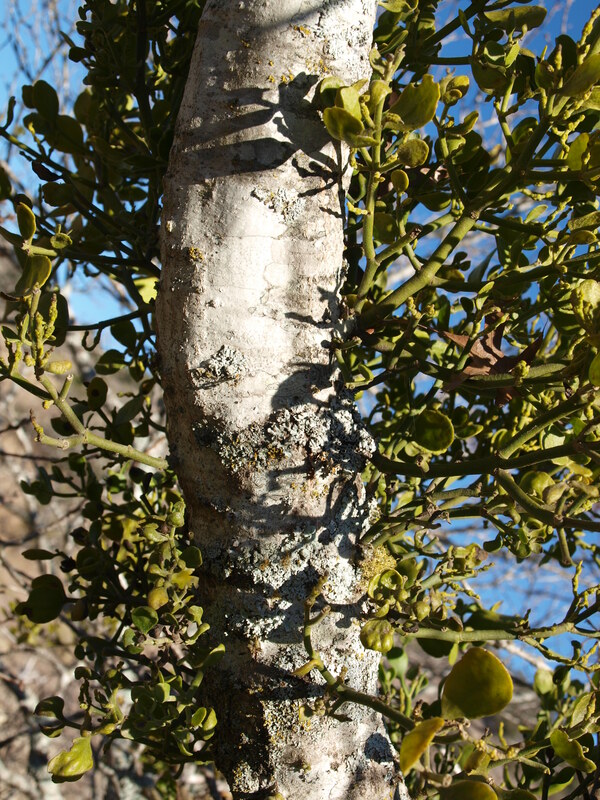 These apparently innocuous tufts of green are actually parasites (mistletoe –Phoradenron tomentosum) with their haustoria deep in the xylem and phloem of the plant they draw out the nutrients from the very heart of each branch . 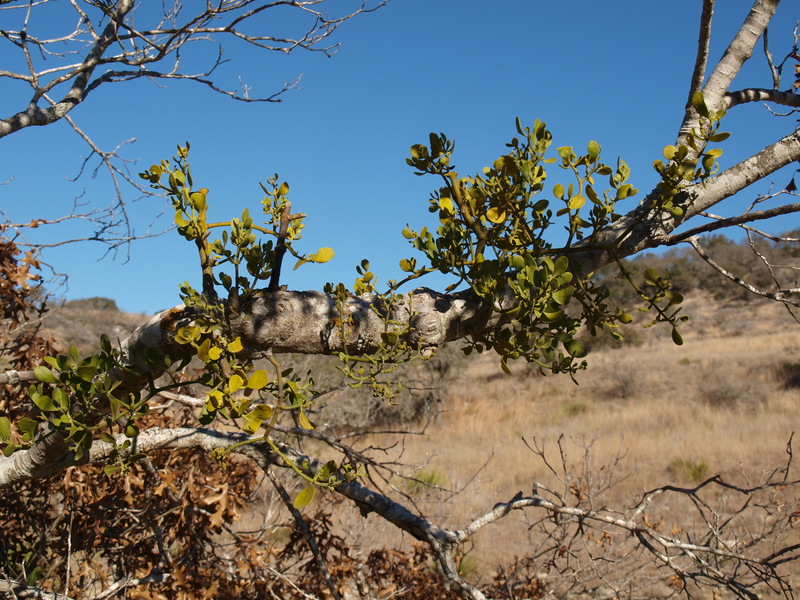 The leafy parts seen here are growing out of a small Spanish Oak (Quercus texana). The texture of the leaves is leathery and quite tough. What is not seen here are the tiny white berries that the birds love to eat. 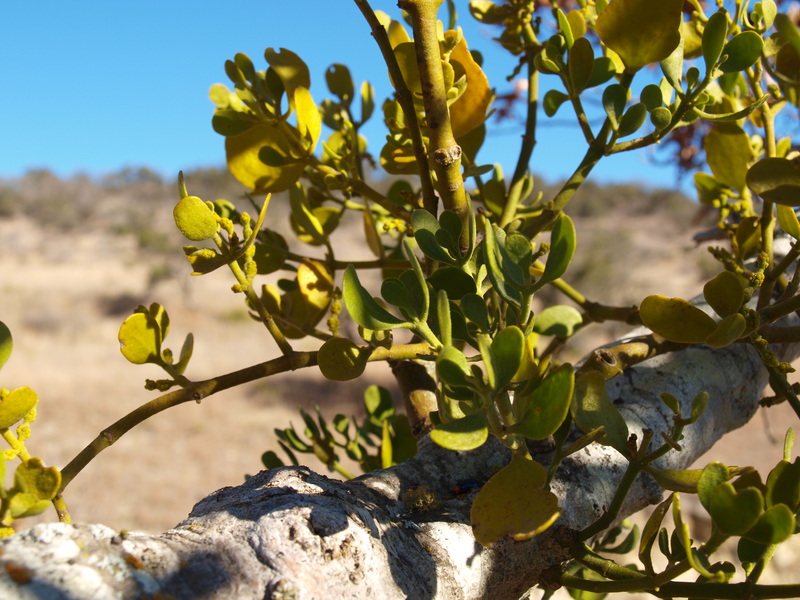 We are perhaps more familiar with the idea of red berries on mistletoe since that is what is found on the european mistletoe Viscum album. When the berries pass through the gut of the bird they become goeey and the bird has to wipe its bottom on a branch to remove the dropping. In this way the berry becomes attached to the next victim, commonly Cedar elms (Ulmus crassifolia) or hackberry (Celtis laevigata), and the haustoria (specially adapted roots) can grow into the bark and a new plant is infected. Amazingly haustoria can extend deep into the plant. After removing an infected branch from a Spanish oak I traced haustoria up to 2 yards inside the vessels of the plant! I do wonder if trees are more prone to infection with all the droughts we have been having. I seem to be noticing it more and more each winter and infected trees seem to have more infestations. Do plants typically have resistance to parasites and that is weakend by drought? This entry was posted in Parasites, Spring, Uncategorized, Viscaceae and tagged dicot by botanyfordesign. Bookmark the permalink.